In yet another Christmas 2014 portrait, this one celebrates the graduation of Hannah (from college) and Lillian (from high school). This is a wonderful time to have an oil portrait. This rite of passage portrait celebrates the graduation of two amazing individuals. Graduation is both an ending and a beginning. The world is full of possibility and the future is bright. Hannah and Lillian Frampton are great kids, who have made their parents proud. They are beautiful, well mannered and high achievers. Hannah is a member of the Gamecocks Championship Coquettes and Lillian is a cheerleader, dancer/singer/gymnist. 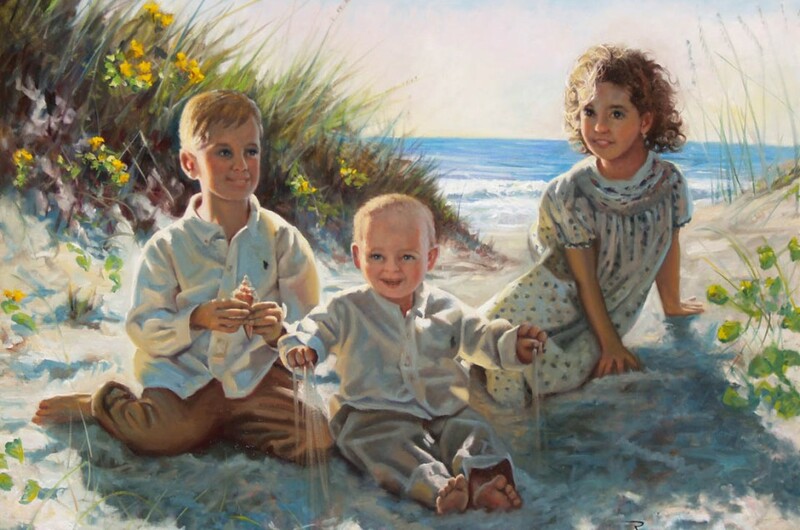 I’ve always believed an oil portrait not only has the power to capture significant moments in time, it actually motivates and inspires it’s subjects, as well as those who love them, to being the best they can be. An oil portrait is always about love and connection and I think this one captures the sister relationship beautifully.